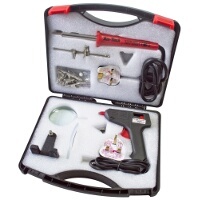 Find your ideal soldering iron with the fantastic range on offer here at Euro Car Parts. From some of the top brands in the industry, you won't find better value. 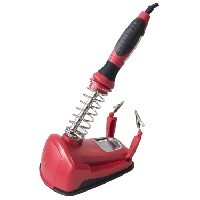 Soldering irons may seem simple, but they are all slightly different in their own way. As something that needs to be used for careful, precise work, personal preference regarding weight, grip and shape is everything. That's why we offer a great returns policy, to allow you to get a great feel for the product before committing. 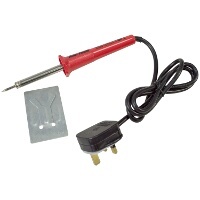 For any soldering iron bought online, we'll provide you with up to 365 days to return an unused product for exchange or refund, no questions asked. All products are also available with free UK delivery, as well as competitive rates on express next-day and international delivery services.  Euro Car Parts also offers a click and collect service, and with over 200 stores nationwide it couldn't be easier to find a convenient local outlet to collect your soldering iron. Remember, as well as soldering irons, we also have the full range of soldering accessories that you need to keep your project on track.